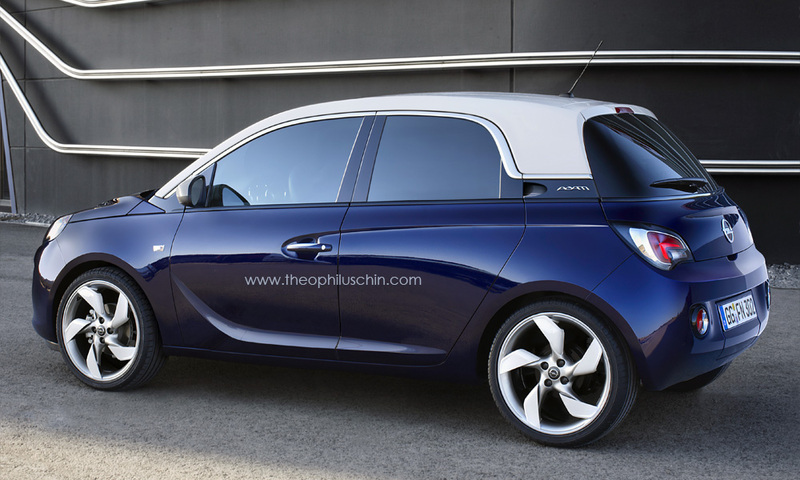 After grafting Buick’s signature waterfall grille to the otherwise very European Opel Adam, ‘Automotive manipulator’ Theophilus Chin decided to graft a set of doors to the two-door Opel city car — and here are the results. The five door Adam isn’t a bad-looking piece of kit… but we wonder if it’s really necessary given the current existence of the Opel Corsa in three- and five-door variants. This is riding on the Gamma II platform just like the Sonic right ? It’s a modified Gamma, Danny. Not the exact same as the one used for Sonic, but close. this is the car that should have taken the place of the Spark in Chevy’s lineup . Understated design , briliantly done . What global small vehicle platform? I thought the Adam was already on the Gamma no?